With the Bank Holiday weekend upon us, daddy working ten hours shifts each day and the children desperate to get out in the fresh air I asked them where they wanted to go yesterday. The answer was to have a picnic, collect nature things and not go in the car. 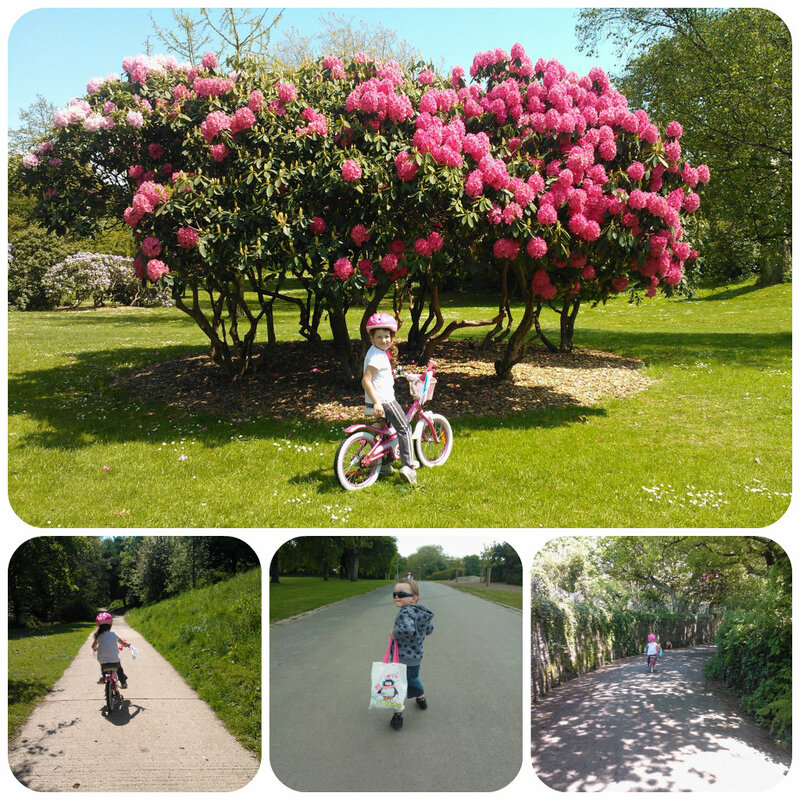 Miss M loves cycling and was keen to go on her bike so I decided we’d spend the afternoon in Central Park, the main park for the city and only a 5 minute walk from us. So we set off with Miss M leading the way on her bike, and Mister B in his pushchair (I knew his little legs wouldn’t last long walking), and explored the winding paths, up and down the hills and stopped whenever we saw something of interest. 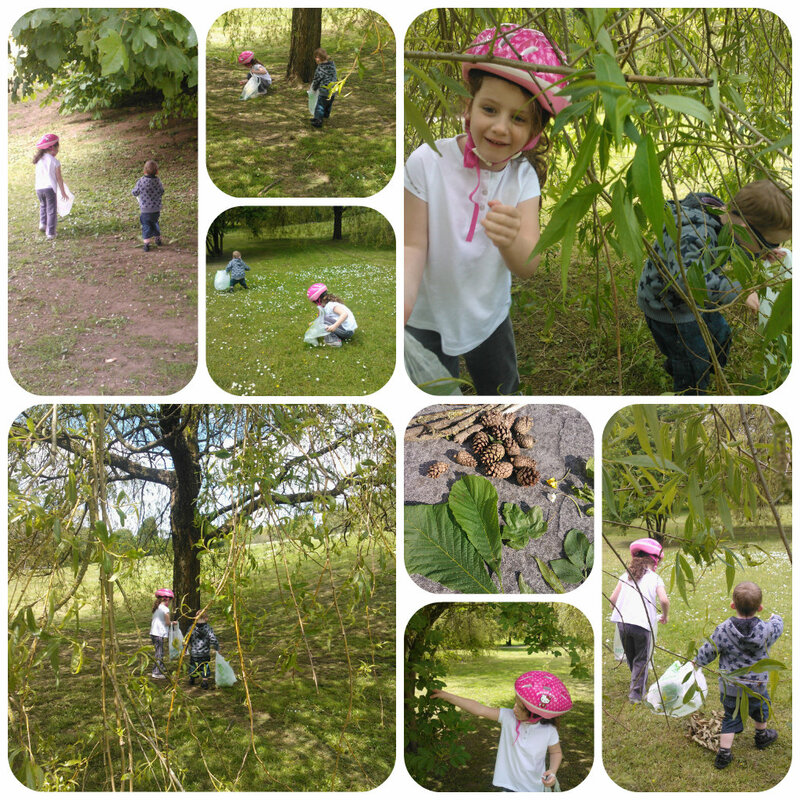 They each had a bag to collect their treasure and we found a lovely area full of willow, oak and horse-chestnut trees where we parked the bike/buggy and set off exploring. We then decided to move on with Miss M going full steam ahead on her bike, she turned a corner and as we followed we saw her bike parked up. 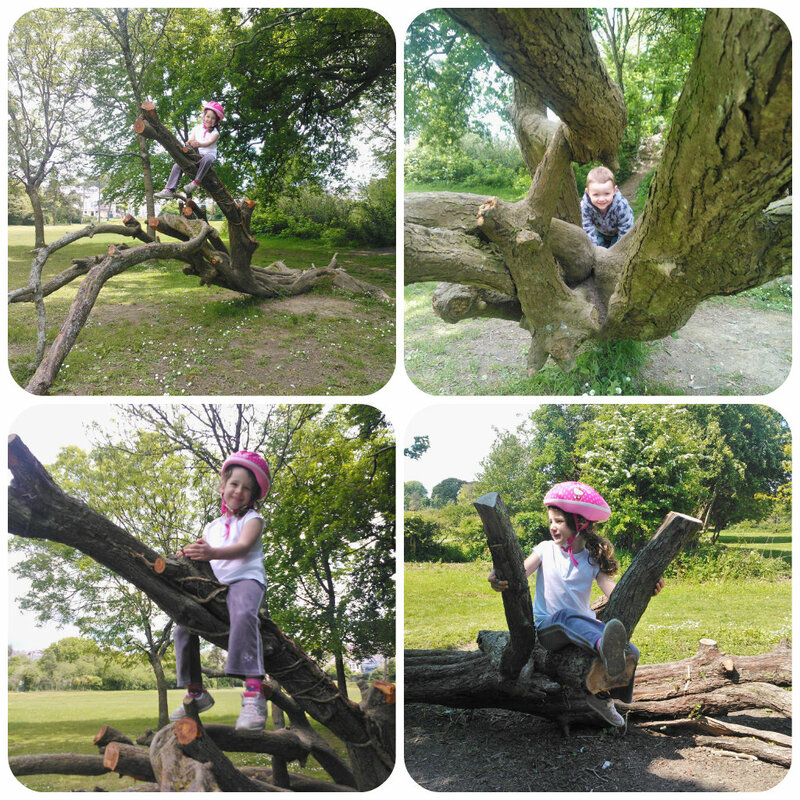 I looked over to the side of the path and there she was, straddled across a fallen tree trunk pretending to ride a horse!! 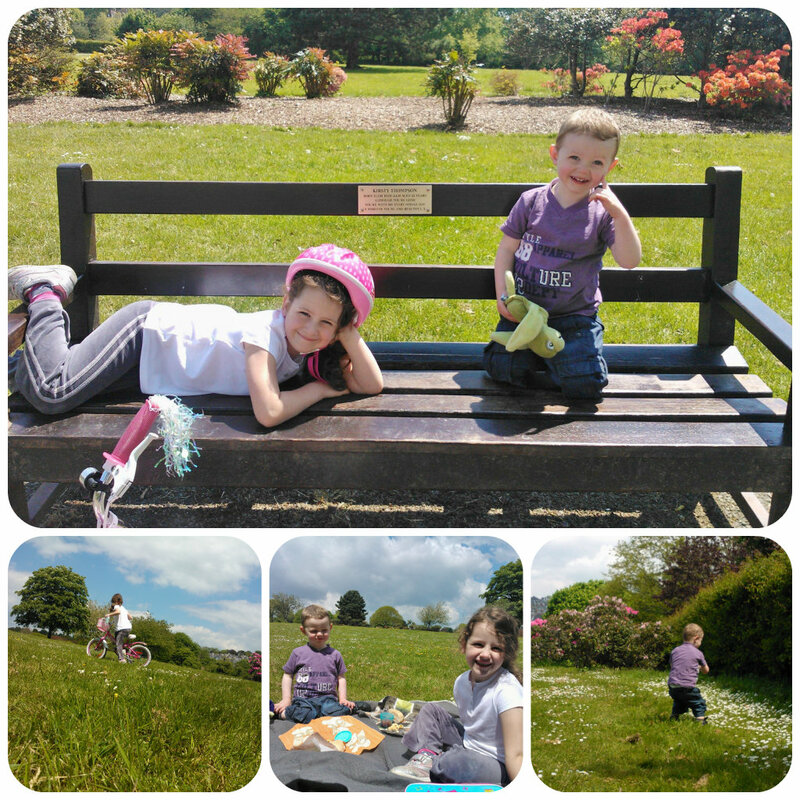 After lots of fun and giggling we decided to find a spot for our picnic and carried on up the winding paths until we came across a beautiful open space, the grass full of daisies and a gorgeous hedgerow blooming with pink flowers. We sat down and enjoyed our lunch with the glorious sun rays beaming down upon us – we had found ourselves a little sun trap with no one in sight and silence apart from a few birds tweeting in the trees. After eating we carried on through the park and found a bench which they both got really excited about and insisted on sitting on. 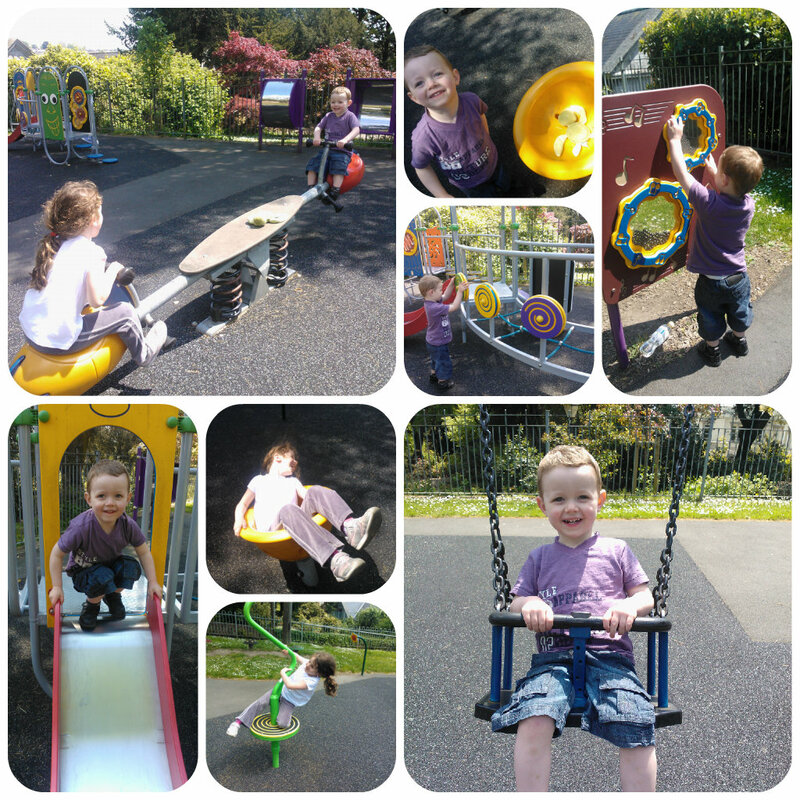 We then headed up to the little playground which Mister B absolutely adored having a go on everything he could. After four hours strolling around, foraging for nature’s treasures, enjoying a picnic in a field full of daisies we were exhausted and headed home to relax and share our adventures with daddy.